Home > Dog Health > Pet Insurance > Is Healthy Paws The Best Pet Insurance Provider? Healthy Paws is committed to helping homeless pets — so much so, it’s donated nearly $600,000 in grants to animal shelters and rescues across the U.S. A great selling point for a pet insurance company, for sure. But is Healthy Paws worthy of insuring your beloved pet? 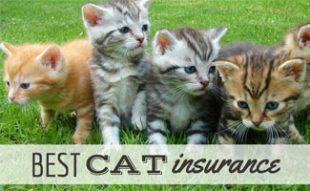 How does its coverage, service and cost compare to other top pet insurance companies? How Does Healthy Paws Compare? Excludes hip dysplasia in animals enrolled after age 6, so this might not be the best option for large breeds that are older than 6. There is also a 12-month waiting period. c. any condition or complication resulting from an illness or injury that occurred prior to the pet policy effective date. Continues coverage for a pet if the pet parent becomes unable to care for the pet or dies. This works by transferring the policy to someone else without a lapse in coverage. The new policyholder will pay the same amount, and there will be no newly added pre-existing conditions. Here’s a list of services that HealthyPaws covers and does not cover (as of December 2018). Services included are not limited to this list and are subject to change. Healthy Paws covers expensive hereditary and congenital conditions if your vet hasn’t noted associated clinical symptoms prior to purchasing a policy. Still, you must enroll your dog for Healthy Paws pet insurance before the age of 6 for you to take advantage of this coverage. Healthy Paws DOES NOT cover hip dysplasia for dogs enrolled after the age of 6. Healthy Paws also has a 12-month waiting period for hip dysplasia coverage from the date you sign up, as long as there’s no prior related medical history for this condition. Check out our hip dysplasia article to learn more about this condition. Is My Dog Eligible For Healthy Paws? All dog breeds are eligible for Healthy Paws’ no-caps-on-claim payouts. Dogs between the ages of 8 weeks and 14 years are eligible to enroll, and your dog has coverage for the lifetime of the policy. Healthy Paws has some restrictions on reimbursement and annual deductible amounts depending on your pet’s age at enrollment. See the table below for examples of quotes from Healthy Paws. You can put your pet’s information directly into its website to get a better estimate for your pet (use our coupon code link below for the best discount). (zip code: 33601) Washington D.C.
You can get personalized price quotes for your pet(s) from several top-ranked companies when you fill out just one short form. Also visit our Pet Insurance Quotes page to see how the cost of Healthy Paws stacks up against the competition. Use this link and you will automatically receive up to a 5% discount. The actual discount varies based on individual state regulations. You can also visit our dedicated HealthyPaws promotions page to discuss current offers. How Did Healthy Paws Help Baxter And His Pet Parents? Cancer is the highest disease-related cause of death for pets each year making up almost 50% of the total. Unfortunately, Baxter’s cancer diagnosis meant his owners needed help financially. See how Healthy Paws helped this family in a time of need. Healthy Paws pet insurance is our #1 pick for best pet health insurance. Healthy Paws took the gold medal because it has a history of excellent customer service, an annual deductible (vs per incident) and unlimited lifetime benefits with every policy. When you sign up for your initial plan, you choose your yearly deductible and the percentage of the vet bill that you’ll be reimbursed for. Healthy Paws also likes to give to those in need. Each time you get a quote from Healthy Paws, it donates money to a homeless pet. Healthy Paws also will continue covering your pet if you’re unable to care for them or if you die. This is rare in the industry, and we think it’s fantastic. Still not sure if Healthy Paws is the right pet insurance provider for you? You’ve got lots of options, and you should always get multiple quotes to compare coverage and costs, finding the best value for your family. Our Best Pet Insurance article compares Healthy Paws against many other providers to help you determine the best fit for you. If you’re thinking about getting pet insurance but still have some unanswered questions, feel free to ask us. We’re here to help you and your pets live a better, less stressful life. Do you have any questions about Healthy Paws and what they cover? I have had my dog enrolled with Healthy Paws since 2011 and its amazing. My dog has had quite a few medical issues and Healthy Paws has been there every step of the way. Every time i would call with a question or concern about something i would get the nicest reps that truly seemed to care about what my dog was going through and it really made us feel like family. They have a very fast turn around time with claims which also is a huge help. I would and always recommenced Healthy Paws to everyone! Some of these reviews must be fake. I am now on year 2 with Healthy Paws, the math is not correct in the reviews. The insurance does not pay 70/80/90% of the bill as they make it seem, they DO NOT COVER THE ACTUAL VET EXAM FEE. I took my vet to the dermatologist for a foot growth. The bill was $250. $200 of that was vet exam fee. So they only covered PART OF THE $50 REMAINING, AFTER DEDUCTIBLE! so 80% of $50. I got $40 back on a $250 vet bill. Plus I paid my $100 deductible (per year). THEY HAVE ALSO RAISED MY RATES EACH YEAR. I am a pet sitter and I was recommending them, but, they say “oh you submitted a mixed breed dog on your info, so actually your rate should be higher for your 2nd year. But that’s not correct, because they receive the vet paperwork stating what breed the dog is. They did this to my client too!!!! And they also raised my client’s rates for the 2nd year in a row. We think like all insurance, it’s a scam. Clare – We do our best to be transparent throughout our website, during the enrollment process and in the policy documents available to each client in their online Healthy Paws account regarding the limited exclusions of our policy. Those exclusions are pre-existing conditions, preventative/routine care and the office visit fee (veterinary exam fee). Anyone visiting our website can see this information on our “Benefits, Coverage and Exclusions” page. By making the office visit fee (vet exam, emergency exam, recheck or consultation) part of the pet parent’s financial responsibility, it allows us to offer a complete accident and illness plan at an affordable monthly premium. Our policyholders value comprehensive accident/illness coverage and unlimited benefits at reasonable rates, which is why they choose to assume the responsibility of paying for those costs. We also make every effort to inform our clients on how our reimbursement calculations work. We include this information (including examples) on our website within our “Frequent Asked Questions” page, and on our “For Customers” page within our website. Our process for calculating reimbursements are approved by each state’s Department of Insurance and are based upon the deductible/reimbursement level a client chooses at enrollment. As with any policy with a deductible, the deductible has to be met before any claim reimbursement. Premiums are based on your pet’s age, breed, and your zip code at the time of enrollment. We rely on information provided by our clients to determine this information. Within the online enrollment application, your pet was noted to be a of a mixed breed type. This information is reflected on each step of the quoting and enrollment process, then provided on your policy declarations page once enrollment is complete. Though we rely on the information provided by you to be accurate, we understand mistakes may be made. Once we received your pet’s medical history for their first claim, these records reflected the breed to be of a purebred type. 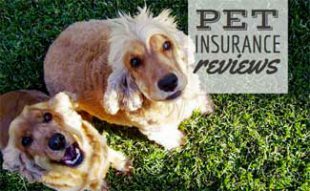 To ensure accuracy and compliance with insurance regulations, we needed to update the premium for your pet. We understand that no one likes any form of premium increase. Our management team works hard to keep our premiums as low as possible while still providing comprehensive coverage. New technology, advancements in veterinary treatments, and overall claim costs are taken into consideration when assessing our rates. We have seen an increase in the frequency of high-value treatments such as anterior cruciate ligament surgeries, cancer treatments including chemotherapy, and foreign body exploratory surgeries performed by veterinarians. These are some examples of procedures performed during the last 12 months that ranged anywhere from $3,000-$16,000. Your monthly premium is going up because the increase in claim payments has been faster than the premium increases in your state. As a result, we need to increase the premium level for all pets in your state so you and your pet can have continued access to the best veterinary care. I have had Healthy Paws insurance on three of my dogs for about five years now. Hank has had two ACL and one stomach surgery. Audrey has had one ACL surgery. Frankie is not allowed to get hurt. Healthy Paws has paid each bill quickly and without issue. Using Healthy Paws was one of the best decision I’ve ever made. So I bought a 8 week old white boxer puppy back in December of 2018. In January I decided to purchase the Healthy Paws insurance for her. In March she started throwing up and wouldn’t eat. My daughter is a Vet Tech at our local VCA so she took her in. Come to find out she had swallowed my nasal pillow for my CPAP mask that disappeared weeks before. It was lodged in her intestines. After 3 days in the emergency room, surgery, meds etc…. the bill was $5,400 after my daughters employee discount the bill came to $3,400. I submitted my bill to Healthy Paws and in 2 days they were mailing me a check for $2,500. After the $250 deductible they covered 80% of the bill. After only making 2 payments on my policy they really came through for me. Best decision I’ve made in a long time. If I could give Healthy Paws more then 5 stars, I absolutely would. They have continue to be there for me and my doggo Larry since day one. Every small, every large claim, I know I have Healthy Paws there to take away any financial stress of veterinary care. I have never felt any limitation to giving Larry the best possible care because of Healthy Paws. I work as a veterinary nurse at a large university teaching hospital. Almost 2 months ago, Larry was diagnosed with aspiration pneumonia, a very mild case, nothing that required hospitalization. I was in touch with Healthy Paws regarding the diagnosis, and they were there to support every step of the way. Long story short, over a month of diagnostics/rechecks including: 4 sets of chest rads (all 1 week apart), 1 chest CT, multiple panels of blood work, hundreds of dollars of antibiotics (he is a newfoundland, big dog = big cost)… Larry went to surgery for a thoracoscopic lung lobectomy and pericardectomy as well as laparoscopic liver biopsies to remove a migrating foreign body.. something that is just plain bad luck. I was quoted up to $8,000 for this procedure. After 1.5 months of diagnostics, medications, treatments and the surgery… the best part is, I couldn’t even tell you how much it ended up costing. Healthy Paws worked with me and Larry very diligently to ensure that I had no added stress on top of Larry needing this very risky surgery. They helped pay the hospital up front and directly so that I had nothing to do besides pay the remains balance at the end. After all said and done, I spoke with the business office at the teaching hospital where I work, and they said Healthy Paws was hands down the easiest insurance company they have ever dealt with. Having pet insurance is having a piece of mind – having it, and hoping you never have to use it. But when you need it, your pet will thank you. There should never be any financial restriction on the care you can give your best friend. Larry did amazing post operatively, and was discharged from the hospital 2 days after surgery. Saturday evening, before Super Bowl Sunday, our 16 month-old Bernese Mountain Dog pulled up lame in the left hind quarter. We decided to see if it resolved by the morning and Sunday morning he couldn’t even put weight on the Right fore leg! Up to the vet. Came home with not definitive cause but administering pain meds. That same day, during the first quarter of the Super Bowl, he could not breathe! He had 2 masses on his fore legs and something blocking his breathing. Seemed like he was falling apart on so many fronts. The 50 mile ride back to the vet was surreal, I was in the back with Whit praying for him, pounding on his chest to provoke some breathing and begging him to stay with me. The thing I didn’t have to worry about was how we were going to pay for his care. For the first time in 40 years of sharing our hearts and home with our canine companions, we had taken out pet insurance. We did this because we anticipated that, like our other Berners, Whit would likely experience orthopaedic issues in his 5th or 6th year. Never did we anticipate that before his 1st birthday, we would have over $10,000 in vet bills and that within the next six months we would add over $5,000 in a different episode! And, he has – apparently – recovered more quickly than his shaved legs have grown back the hair from the IV and other procedures! He is a wonderful, hardy fellow and we are so grateful for his recovery and that we have a partner in financing his health escapades. The claim submission process could not be more simple – just take a picture of the bill and send it on the app – and the reimbursement arrives in a week or less! Healthy Paws is the 4th – and last – pet insurance we have had. We will never ever leave Healthy Paws. They are beyond excellent. The last time I submitted a claim, HP had the reimbursement for the claim in my checking account within about week. I would say I was astounded…but they do this consistently…..EVERY TIME I submit the claim is generally closed within a week or two. I also appreciate all the flexibility in the type and cost of plan we have. I decide what type of plan I want, what my deductible is and what my reimbursement level is – all of which affect my monthly price. In addition, the people at Healthy Paws are so lovely. They are kind and caring and sensitive to what we are going thru. They always reach out after a claim is closed and ask how our dog is healing. This is no form letter…it is always heartfelt and caring. I tell everyone who has a pet about Healthy Paws. We’ve now been with Healthy Paws for over 4 years and they continue to bring a level of comfort and security about the care of our pets. When something goes wrong with one of our beloved dogs, the last thing we want to worry about is how much it will cost to give them the best care possible. And we don’t. And it’s because of Healthy Paws. For the last 42 years I have fostered and adopted rescue dogs, several at a time (one time, there were five! ), usually those with special needs. 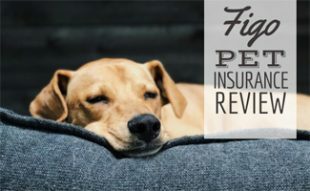 I’ve tried three other pet insurances, but the loopholes with the deductibles and the resistance toward claims, as well as the copious paperwork and delays, left me very discouraged. Then I found Healthy Paws, and my current rescue dogs now have far (far!) better health insurance than I do. Deductibles are not specific to EACH type of problem per year (which can be huge if a pet has multiple issues or mishaps), but rather one very reasonable deductible for ALL problems that occur in a year. Filing claims is easy online. Claims are settled very quickly–frequently within 48 hours. And they cover what they say they will–no sneaky loopholes. But the best part is that I don’t feel penalized because I take on rescues; if I don’t know a dog’s complete history, or have records available from before the rescue, they don’t reject me as have some other companies. Great team. Signing up with Healthy Paws was the best decision we could have made for our pup who unfortunately has had a lot of health issues including a recent, unexpected surgery. In each case, Healthy Paws has covered these expenses and lived up to their promise. It’s so easy to use their app to submit claims. They process the claims quickly and will submit your reimbursement directly to your bank account if you choose. I can honestly say that without Healthy Paws we couldn’t have afforded to give our dog the care he needs. We owe so much gratitude to Healthy Paws! It’s a decision you won’t regret. My experience was as good as I could’ve hoped for under the conditions. I lost my fabulous two-year-old border collie pup to a freak internal tear. I would have paid anything to have her recover, but to face her loss followed by the $6000 vet bill would have been intolerable. Healthy Paws was fast, efficient and the gal who handled my claim was gentle, supportive and sympathetic. The check arrived amazingly fast. I couldn’t have asked for anything more. I can only give them my best recommendation. the efficiency of their claims process. I have never had anything but the best experience with Healthy Paws, and I wouldn’t even think of having an animal companion without them. I have had pet insursnce with other companies, but nothing comes close to Healthy Paws. I recommend them every chance I get. They are a great company with terrific people making it that way. Healthy Paws has gained a customer for life from me, with my current pet and any other pet I may have in the future. I cannot thank them and recommend them enough for the amazing service they are running. Last year has been a bit rough for my Maltese, from neutering to bilateral hernias, but the ease and speed in which Healthy Paws handle claims made it invaluably easier. There aren’t many things in life anymore that I would say are worth every penny, but this is. When we got our new puppy and had his first vet exam, the vet encouraged us to buy pet insurance. We’ve had four previous dogs and each had expensive and extensive medical conditions, so buying insurance this time seemed like a no brainer. After doing my research, we chose Healthy Paws. Are we glad we did! You get to pick the amount of kind of coverage and depending on cost, how big a deductible. When our dog was about a year old, he showed signs of some kind of allergies. Soon after several vet visits, it was recommended to us to take him to a specialized dermatology veterinary hospital. There they did testing and sadly, we found out he is allergic to many outside elements as well as mold and dust mites. So, with the testing, continuing prescription meds, and bi-annual blood testing, having Healthy Paws has been a huge help. Claims are just as easy as taking a photo of your bill and response time is immediate and a settlement within a week. We’ve also had emergency vet visits and just recently he had surgery to remove a growth near his eye. The majority of those expenses were taken care of and even got an email from Healthy Paws asking how Mac was doing after his surgery! This is why you purchase pet insurance for the unseen illnesses and emergencies that can happen and often will. We are so happy we chose Healthy Paws! My dog is thankfully healthy but recently had a accident that required a pretty serious surgery. He is family so we would have done whatever it takes to get him well but without Healthy Paws the financial burden would have been great. His insurance plan is worth every penny! They processed the claim without delay. We received reimbursement less than 2 weeks after his surgery AND they checked in to see how his recovery is going. Wonderful customer service, I wish human health insurance worked this great! I am thankful I chose Healthy Paws! I can’t even began to thank Healthy Paws. Our dog is here with us today thanks to them. It’s been a blessing to have this insurance from the beginning and I highly recommend every pet owner to have it. Healthy Paws thank you for always being there for us and for checking on our fur baby to see how he is doing. I am so grateful to Healthy Paws for the unwavering support they have given me with my dogs. I have four Golden Retrievers, two of which have ongoing life-threatening illness. Ivy, who is 10.5, was diagnosed with GME at 6.5 years old. This disease can NOT be cured, it can only be managed with medication. She takes two different daily medications, one of which has a cost of $140.00 per month. She also must have Chemo therapy once a month at a cost of over $300.00 per month. Because of Ivy’s illness, any medical condition is an emergency and must be tended to immediately regardless of the time of day or night. NEVER, not once, has Healthy Paws given me one ounce of grief over these costs or treatments. NEVER, not once, have they rejected my claims. To the contrary, they have paid every one of them in an expedient and caring manner. Hayley is 6 years old. At age 2, she was diagnosed with Refractory Epilepsy. She takes 5 different medications every 8 hours, one of those medications comes at a cost of $222.00 per month. The others come to around $150.00. She has also had to be hospitalized twice for seizures that would not stop without intravenous medication. NEVER, not once has Healthy Paws rejected any of the claims submitted for her care. Healthy Paws has stood behind their promise to pay ALL legitimate claims. I used to worry that Healthy Paws would eventually cut me off, as the cost of my two dog’s monthly health care is HUGE, but to the contrary they have NEVER even hinted at such a thing! Without Healthy Paws keeping their word, standing behind their promises, I would have to let my two girls go as I could not afford the immense cost of their medical care. Thank you from the bottom of my heart Healthy Paws. Also, I just wanted to say, Healthy Paws does NOT pay for the vet visit charge, or consultation charge in emergencies or when you see specialists, nor should they; they tell you this UP FRONT. They DO pay for ALL other charges involved in your pets care, that is more than fair and a HUGE blessing when you need that support! I’ve been using Healthy Paws since I adopted my puppy 4 years ago. They offer a number of coverage options, and the claims process is simple and straight froward. It really is a breeze working with Healthy Paws! Recently, my little guy had to recieve back to back surgeries. The first for an obstructed intestine, then again for a post surgery infection. As you can imagine, the bills piled up. 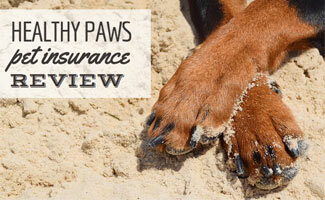 Healthy Paws reviewed and settled both claims so quickly, I didn’t even have time to be stressed! I can’t say enough how nice it was to be able to focus on my pets recovery. It was such a seamless experience, I mention how much Healthy Paws helped me every time someone asks about my pets recovery. If only Health Insurance for people was this easy! This review site casually mentions that Healthy Paws doesn’t cover “Veterinary exam fees”. This is a HUGE exclusion. I’m not talking about wellness exams or routine physical exams… Healthy Paws DOES NOT COVER THE VETS EXAMINATION OF YOUR SICK OR INJURED PET!! This is the exam where the Vet diagnoses the problem, prescribes meds and otherwise takes care of your sick or injured pet. This charge is often the biggest single charge on a vet bill. I took my puppy in with a severe cough. The vet examined her and prescribed antibiotics. Healthy Paws covered the minor cost of the pills but not the larger charge for the Vets services. A Healthy Paws Manager said to me, ‘It would cost too much if we covered the veterinarians exam charges’. What kind of “Health Insurance” doesn’t cover the doctor????? SO BEWARE, Healthy Paws is cheap Insurance from a cheap company. Richard – we’re sorry that your baby was having coughing issues. We do our best to be transparent throughout our website, during the enrollment process and in the policy documents available to each client in their online Healthy Paws account regarding the limited exclusions of our policy. Those exclusions are pre-existing conditions, preventative/routine care and the office visit fee. Anyone visiting our website can see this information on our “Benefits, Coverage and Exclusions” page. By making the office visit fee (vet exam, emergency exam, recheck or consultation) part of the pet parent’s financial responsibility, it allows us to offer a complete accident and illness plan at an affordable monthly premium. Our policyholders value comprehensive accident/illness coverage and unlimited benefits at reasonable rates, which is why they choose to assume the responsibility of paying for those costs. We sincerely hope your girl is feeling better! If the office visit charge is the “biggest single charge on a vet bill”, I would seriously think about changing vets! Most insurance companies don’t cover the visit charge. It’s the cost of treatments, meds, surgeries and procedures that cost the most and those are covered by Healthy Paws. Some companies do have “wellness plans” that cover annual health “check ups” and such. Maybe you should look into one of those. Healthy Paws is the best! They have covered many costs for one of my dogs who probably would not be here today if it were not for Healthy Paws and the thousands of dollars they have reimbursed for his surgeries and meds and procedures. They list on their website exactly what is and isn’t covered so if you read it and pay attention, you will know right from the start what is covered! I will never have a dog who will not be covered by Healthy Paws! I had my share of personal health issues and zero health insurance most of my life, so when it came to my animal companion, I didn’t want finances to ever hinder his chance in getting the best medical care and keeping him healthy. I bought pet insurance hoping I would never really need it but liked the idea of having a “just in case” kind of thing for my boy Watson.I frequented my vet quite often as I would worry about my little guy but every time we left with Watson with a clean bill of health..
Then one night Watson started to breath with difficulty and off to the ER vet we went. I was hoping he was having an allergic reaction or something but instead we were told the most heartbreaking news and he was diagnosed with congestive heart failure. Since the time he was diagnosed (10/16/18) until his passing (11/26/18), we had multiple vet visits, cardiologist visits, and ER vet visits. Watson had to go through many tests and xrays and was put on medication. I was fortunate enough that Watson was covered under Healthy Paws and I didn’t have to worry about how much everything would cost and instead I was able to focus on just being with him. I remember filing my first claim and I thought there was no way it would be as easy as taking a photo of my invoice and then waiting for reimbursement. Surprisingly, it was as easy as that. 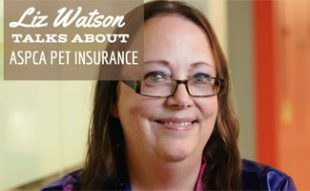 they cover what really matters— They cover the things you will not always be able to afford and give you peace of mind knowing that you can not focus on your furbaby rather than how you will pay for whatever treatment. I remember after my numerous ER visits I received an email from Healthy Paws checking in on Watson and I thought that it must be one of those automatic messages they send to everyone, but I figured I would write back to them since I was going through such a difficult time of watching my best friend’s health decline. And again, to my surprise, it wasn’t an automatic message but an actual, real human being checking in on him. It was comforting to know that real people were behind me and Watson and real people were there for us. Healthy Paws showed so much kindness and compassion for me, but especially for Watson, I was awestruck. When Watson unexpectedly passed due to multiple valve ruptures I was beyond devastated… Actually, I’m still beyond devastated.. in fact my heart is still broken beyond repair… hence why it’s taken me so long to write this review, but I digress. A week or two after Watson’s passing I received a card from Healthy Paws filled with hand written messages for me and Watson that made me sob uncontrollably but in a good way, not in despair like usual. These real people wrote such heartfelt and touching things that were more meaningful than the card I received from the ER vet where Watson had passed… To some you might think, big whoop, a card? But if you have never lost your good boy/girl, you will never understand how much a simple card can ease your broken heart, even if it’s just a little bit. The main point is that Healthy Paws was there for me and Watson. They made the claim process so unbelievably easy that you might think there’s a catch or you’re doing something wrong, but trust me, it’s that easy. They gave me a sense of relief in which I could spend all my time being there for Watson and not worrying about how I would pay to keep him alive. And what I feel really sets them apart is they are filled with real, caring people who have so much compassion and will make you feel less alone when you feel most broken. I still have Healthy Paws for my other little one and should my heart ever heal from the pain of losing my one and only heart dog Watson, I know if/when I adopt another furbaby I will be signing up for Healthy Paws again and for the rest of my life. They truly are exceptional and go above and beyond compared to all other pet insurance companies. And to that I must say, thank you Healthy Paws for being there for me & Watson. We have Healthy Paws and absolutely love it. The first year of coverage we did not submit any claims because as others have stated their policies do not cover office visit fees, preventative medications (tick & heartwood medications), or dental cleanings. Unfortunately Salvatore started having allergy and skin/ear issues. Healthy Paws has been wonderful. We have taken Sal to several specialists (in and out of state) and his claims have always processed without issue. In the past year alone Sal’s bills have totaled over $10,000. All of his laboratory, medications, surgical and diagnostic procedures have been covered. We chose the $250 deductible with 90% reimbursement. There are no claim or benefit limits (ie no limit to the number of times Sal can be seen for ear issues or a cap on the spending costs for his ear issues). Anytime I have ever had a question…the team at a Healthy Paws has always been so helpful and compassionate. I really wish they would consider branching into human health care. We have had coverage since 2015, this is the first year his premium has increased, and the increase was minimal. He just turned 8yrs old this August. When looking for health insurance for my two new puppies I looked at all the options. When I contacted Healthy Paws with some questions they were very helpful and answered all my questions. I liked the ease of the signup process and the usability of their phone app. It was not until a year later that I needed to actually use the insurance and when that time came I was pleased to find that the upload process and claim process was so easy. I uploaded the records that I received from my Vet and then snapped a picture of the bills and in a week Healthy Paws had reviewed all the records and reimbursed me for the covered procedure. My Dog ended up having bone cancer and lost her leg. Having Healthy Paws insurance allowed me to be able to afford the surgery and get a second chance with my beloved dog. The best part was that after the surgery I got a personal email from one of their employees asking how my dog was and if there was anything else I needed. They also took the time to look at the rest of my policy to see that I had another dog and asked about him as well. I felt like they really cared and I am glad I went with Healthy Paws. I would recommend Healthy Paws to any pet owner. I can’t say enough positive things about Healthy Paws. I first purchased insurance when my boy Teddy was a puppy, and I’m thankful every day that I did. I carry the maximum level of insurance (90% coverage after a $200 annual deductible) on Teddy and it’s worth every penny. The first year of Teddy’s life we were at the vet every 2 weeks for chronic skin issues, & more than one emergency visit when he’s ingested things that he shouldn’t have. We have spent thousands of dollars over the last couple years on procedures, medications, and skin related medical care and the majority of that money spent has been refunded by Healthy Paws (90% to be exact!). His most recent issue was an ER Vet visit that alone cost me roughly $1,000…. I received almost $900 in refund checks for that ER visit. When a $1,000 bill essentially turns into a $100 bill, I have been able to focus on what matters most- my boy’s health – and not have the added financial stress. I had no qualms about choosing to provide the needed care for him because I didn’t have to choose between spending the money on appropriate care and taking a chance on his health. Looking to the future, as the owner of a giant breed dog one expects to eventually run into some sort of hip/joint problems (though I take excellent care of my boy through nutrition, supplementation, and appropriate exercise). I have peace of mind knowing that heaven forbid that does occur, cost of care won’t be an issue. While my boy has had many visits to the vet and we have unfortunately had to take advantage of our coverage with Healthy Paws frequently, I would still consider this coverage worth it for any household pet- even those who seem to never have health issues. The peace of mind it brings is easily worth the cost per month (which is more than reasonable in my opinion). We use the Healthy Paws app to submit claims, which makes it super easy, fast, and convenient to do. I will be using Healthy Paws for any future pets we have. If you have a puppy, get pet insurance early, it’s the smartest thing I have done. There have been no negatives to our experience, and any interaction we’ve ever had with any Healthy Paws staff has been pleasant, professional, and genuinely caring for my boy. I can’t say enough good things – thank you Healthy Paws! I have had Healthy Paws for one of my dogs, Teddy, a 5 year old German Shepherd mix since I got him in 2015. He has the 90% coverage and $100 annual deductible plan. Last October he was diagnosed with a Mast Cell Tumor (cancer). I had it surgically removed and all is well with him now. I get him checked out every 6 months now by the cancer specialists to make sure hes still cancer free. They do various tests and ultrasounds of his belly etc. Healthy Paws has not once been a issue in any claim process. One time they forgot to reimburse a blood test and all it took was a simple phone call to get it corrected. Healthy Paws allows me to treat his cancer (or any possible future issue) much more aggressively rather than worrying about potential money issues. Only complaint (and a minor one) is that the premiums have gone up since I enrolled him but I understand that is part of the cycle. After having Healthy Paws help treat his cancer, its a small price to pay for having a friend and family member in good health. Highly recommended! I truly loved Healthy Paws from the moment we enrolled our first dog with them over 5 years ago. Since then we’ve added 2 more dogs & are now in a bind as to whether we can continue paying the insane rising premiums. We should not have to raise our deductible and lower our coverage just to be able to afford the same policies due to the alleged rising costs in veterinary care. We live in Southern California in the city & our veterinarians have definitely not raised their prices as drastically as Healthy Paws claims. Our dogs are our children as many of you in the forum feel the same about your own & would do anything for them. Unfortunately Healthy Paws has made me realize pet insurance and being able to provide for the health of a pet is a luxury meant only for the wealthy. Heathy Paws is an insurance business just like any other and they don’t have a pets’s life and best interest at heart. If they did, they wouldn’t be gouging pockets with insane premium increases. In 2014 our rates increased from $176 to $185. Since 2015 it went up from $185 to $285 and now the updated increase for 2018-2019 for so-called rise in veterinary expenses… $285 to $363. In four years the monthly premium went up $187. From $2112 a year to $4356. It has more than doubled in 4 years. Really… to keep up with rising veterinary costs? Thank you for your kind words – we are so happy that Healthy Paws has been able to play a part in assuring that your babies have access to the best available medical care. We realize that premium increases can be a stress financially and that this increase was larger than normal. Our management team works hard to keep our premiums as low as possible while still providing comprehensive coverage. New technology, advancements in veterinary treatments, and overall claim costs are taken into consideration when assessing our rates. We have recently seen a rise in high value claims due to an increase in the availability, use and cost of emergency/specialty care. During the past year there was an overall increase in the frequency of high-value treatments such as anterior cruciate ligament surgeries, cancer treatments including chemotherapy, and foreign body exploratory surgeries performed by veterinarians. These are some examples of procedures performed during the last 12 months that ranged anywhere from $3,000-$16,000. Rest assured, we will never penalize you with higher rates for making claims. All pet insurance companies, no matter how they market their benefits, will raise rates to keep up with the rapidly rising cost of veterinary care. Please give your babies big hugs for us!